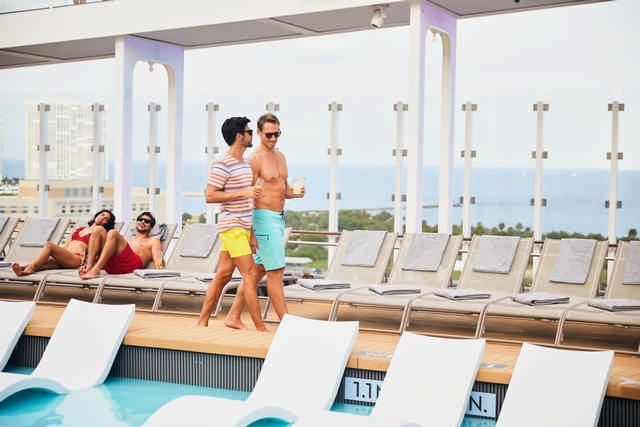 GLBT-friendly cruise lines VACAYA and Celebrity Cruises are here to give you the trip of a lifetime. Do you ever just want to set sail on an open sea, ice-cold mojito in hand, and forget all your responsibilities back home? Well, what’s stopping you? Your dream vacation is right around the corner with VACAYA and Celebrity Cruises ready to sweep you off your feet and onto a lounge chair in the sun. VACAYA CEO and co-founder Randle Roper says VACAYA is the first large-scale full-ship/resort GLBT vacation company for adults to launch in decades and is the only company on the planet catering to the entirety of the rainbow community. “VACAYA’s Mission is to fulfill the vacation dreams of all adults who believe ‘love is love’ through our commitment to highly-personalized world-class service, quality experiences, and unmatched value. We believe consistent, ethical, and quality interactions with our guests, business partners, employees, and community will result in loyal long-term relationships,” Roper says. VACAYA is committed to helping make the world a better place by inspiring guests to volunteer, donate, and promote human understanding to those less fortunate within the communities they visit around the globe. For VACAYA’s 2019-20 inaugural season, they partnered with Celebrity Cruises, Emerald Waterways, Ponant, and UNICO Hotel Riviera Maya. “When searching for the perfect partners and destinations we look for ones that are truly connected to the LGBT+ community—ones who’ve shown a commitment to equality, that are safe, and that offer truly authentic experiences,” Roper says. VACAYA offers fun and easy vacations with customized itineraries, personalized service, tailored entertainment, welcoming activities, friendly parties, and transformative moments. VACAYA charters the entire ship or resort so all guests have the freedom to express their individuality, make personal connections, celebrate life, rev up, or simply relax together. For their inaugural season, VACAYA is offering five unique vacations, both on land and at sea, to destinations including Provincetown, Iceland, and Budapest. The founders of VACAYA have over one hundred years of experience in entertainment, hospitality, and GLBT travel. Roper says they take that knowledge and push the bounds of social activities. From unexpected parties and fun mixers to big family meals and myriad surprises along the way, a VACAYA trip is all about connections. “We bring people together. Our goal is to have every person who travels with us leave the experience with no fewer than 20 or so new friends. And those friends will be from all walks of life and from all corners of the globe,” Roper says. Like VACAYA, Celebrity Cruises is all about the experience. After all, it is a cruise fit for a celeb! Allycia Auxier, Celebrity Cruises market sales manager, says through their involvement in a diverse array of charitable organizations and activities—from local initiatives to global projects that affect millions—Celebrity Cruises aspires to open up the world to make people’s lives better and inspire others to do the same. Auxier says Celebrity Cruises offers perks as part of your cruise price, which eliminates onboard purchases and ultimately drives more value to the guest. 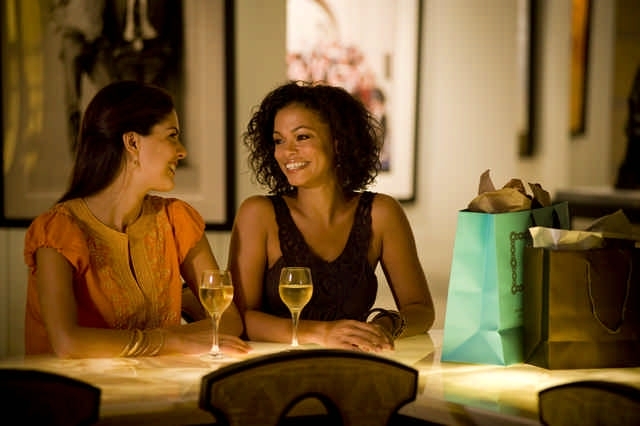 Through April 3, guests can choose from two of four perks at no additional cost. Choose from their Classic Beverage Package, unlimited high-speed wi-fi, stateroom gratuities, or a $150-per-person on board credit. 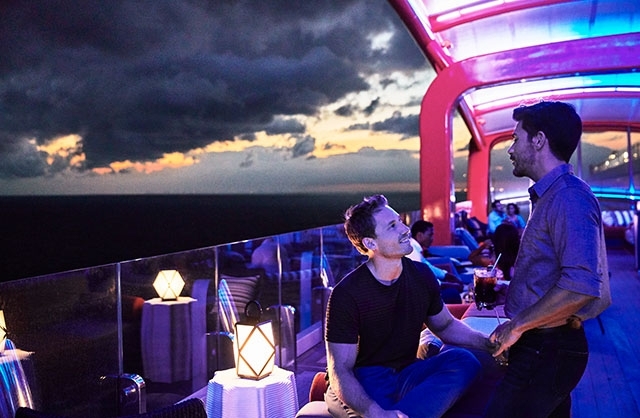 Though Celebrity Cruises isn’t an exclusively GLBT cruise company, Auxier says the community is an important part of their clientele. Auxier says they offer GLBT weddings, full ship charters, and onboard meet-ups so fellow travelers can easily find each other on board if they wish. “We are really fortunate to have our President and CEO Lisa Lutoff-Perlo support inclusion efforts by sponsoring LGBTQ+ events such as Pride,” Auxier says. “I’ve said it time and again—you have to take a stand to stand out—and I am proud to say Celebrity Cruises stands with the LGBTQ+ community,” Lutoff-Perlo says. For more information about VACAYA, visit www.myvacaya.com. 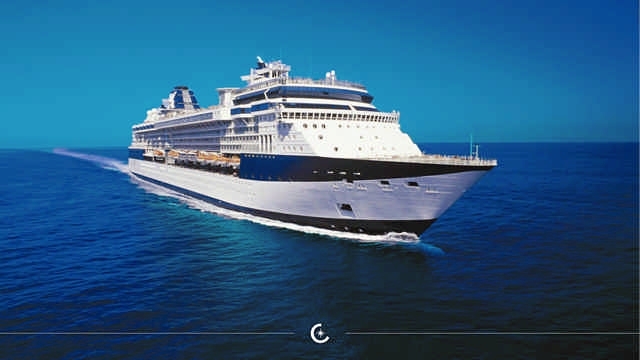 For more information about Celebrity Cruises, visit www.celebritycruises.com.